Founded in 2009, Blue Bridge Financial provides flexible financing solutions for specialty industries that are often underserved by traditional funding sources, such as banks. Through Blue Bridge, businesses can receive credit approval in less than four hours and funding for equipment and inventory purchases as soon as the next day. Manufacturers, vendors and distributors also partner with Blue Bridge to provide funding for customers, and thus facilitate and increase sales. The 2016 Inc. 5000, unveiled online at www.Inc.com, is the most competitive group in the list’s history. 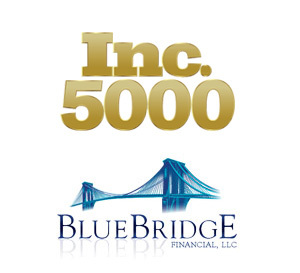 To view Blue Bridge’s complete profile on the 2016 Inc. 5000 list, visit: www.inc.com/profile/blue-bridge-financial. Blue Bridge Financial, LLC is a specialty finance company and leading provider of commercial financing solutions for small business borrowers as well as manufacturers, vendors and distributors of commercial equipment and inventory. With fast and easy to obtain funding for equipment purchases, inventory and working capital, they are a complete source for simplified business financing. The company is headquartered in Reston, Virginia, with offices in Buffalo, New York, Las Vegas, Nevada, Tampa, Florida and Lake Wylie, South Carolina. 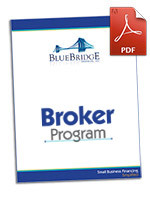 To learn more about Blue Bridge Financial, visit www.bluebridgefinancial.com or call 716-204-8467. The Inc. 5000 is a list of the fastest-growing private companies in the nation. Started in 1982, this prestigious list of the nation’s most successful private companies has become the hallmark of entrepreneurial success. Companies on the Inc. 500 are featured in Inc.’s September issue. They represent the top tier of the Inc. 5000, which can be found at www.inc.com/inc5000.